Anyone for a fair trade coffee? Here in the UK we drink around 55 million cups of coffee a day, that’s over 22 billion cups a year! Whichever form it’s enjoyed in – ground coffee, instant, decaf, or ready-to-grind beans – coffee remains one of the world’s most popular drinks. Over 125 million people worldwide today depend on coffee for their livelihoods, and it only seems to increase in popularity. But how much do we know about the coffee we drink? What is fair trade coffee, where does fair trade coffee come from, and why should you buy it? In the UK, Fairtrade certified coffee accounts for nearly 25% of total coffee sales, and interest in fair trade coffee is growing all the time. The majority of the world's coffee is grown within 1,000 miles of the equator, between the Tropic of Cancer in the north and the Tropic of Capricorn in the south. Central and South America produce around two thirds of the world’s coffee supply. When you buy fair trade coffee, you know that the coffee growers, farmers, and suppliers are part of a trading partnership based on dialogue, transparency, and respect. All parties involved are paid a fair price, a steady income, are given direct access to markets, and are given the opportunity to grow and develop their farming and environmental practices. The coffee supply chain can be long and complex, with coffee beans passing through the hands of growers, traders, processors, exporters, roasters, retailers, and finally – you. Most coffee farmers have no idea where their coffee ends up, or what price it sells for. With fair trade, coffee producers are guaranteed a fair price and all the meddling done by middlemen is cut from the supply chain. Did you know that it was Traidcraft who introduced the first fair trade coffee to the UK in the early 1980s from Tanzania? Our first fair trade coffee was affectionately referred to as ‘Campaign Coffee’ and tasted pretty basic (putting it politely). But these were the early days of fair trade, when passionate pioneers drank our ‘Campaign Coffee’ anyway despite the taste, ever-determined to make a difference and show the world that it was the right thing to do. But these days we’re coffee experts, travelling the world to find the best coffee beans that pack a punch in terms of their quality and flavour, as well as ethics. Traidcraft coffee is now sourced through carefully selected socially and environmentally-minded fair trade organisations across Nicaragua, Peru, Tanzania, Honduras, Ethiopia, Rwanda, Guatemala, Mexico, and Malawi. From PRODECOOP in Nicaragua to the Kagera Coop Union in Tanzania, we work with organisations who support and source their coffee from smallholder grower collectives. These groups support their member coffee growers with training opportunities, diverse social projects, and of course – a stable and fair income. CIPAC is a small Guatemalan co-operative with more than 140 coffee farmer members. CIPAC doesn’t only look out for coffee growers though – many of CIPAC’s farmers keep bees too! But this landscape is mainly coffee country, remote, rugged and mountainous, with an ideal climate and high elevation for coffee growing. Many coffee farmers have inherited their coffee plants from family members, having received skills passed down through the generations. To sell their coffee, lone coffee farmers must travel along winding roads through the Guatemalan mountains, frequently teetering on the edge of dangerous inclines. But these roads are just one of the issues facing coffee farmers; another potential issue is coffee rust – a fungus which leads to unproductive bushes, debt as the farmers spend huge sums trying to prevent it, and ultimately the eventual need to replace the whole coffee bush. This means high costs for farmers and loss of income since a new bush will take three years to yield coffee cherries. Traidcraft has in recent years ran a coffee rust prevention project with the farmers, after the disease wiped out 40% of smallholder coffee plantations in 2014. This included finding eco-friendly coffee rust prevention substances which would also work in balance with the environment and buying new, resilient, high-quality coffee plants to replace the plants which had died. Traidcraft has run many development projects in Guatemala, including initiatives offering technical assistance to beekeepers and fruit tree planting projects – which minimises soil erosion in hilly areas, increases food security, provides a diversity of flowers for bees, and add a new income generation stream for the members. These days CIPAC is a thriving co-operative, and it’s amazing to know we’re tasting coffee that’s grown and harvested by such skilled, and dedicated hands. Eat Your Hat coffee beans are sourced from smallholder farmers and like-minded traders across the world, all of whom embrace fair, ethical, sustainable agriculture as part of their DNA. These are true activist farmers - making a real difference in the world of equal rights and organic farming. From the corruption-fighting growers at the Permata Gayo co-operative in Sumatra to the farmers on the slopes of Mount Elgon in Uganda (farming land that used to belong to a church-run beekeeping project), none of the Eat Your Hat speciality coffees and blends would exist without the amazing growers behind them. All the Arabica beans that go into Eat Your Hat's Honduras Ground Coffee are grown and picked by hand by women at the Asociación de Productoras Libres de Marcala (APROLMA) co-operative in western Honduras. The region is thought to be the first in Honduras to ever export coffee, with many coffee plants having lived for up to 100 years. Founded in 2013, this small co-operative currently has 69 female members, many of them Lencas – the indigenous people of southwestern Honduras. Each member farms an average of 1.5-hectare micro-plots, growing organic coffee under shade alongside bananas, oranges, and yukka – much of which is used to feed their families. APROLMA has two main goals. One is to produce the finest quality coffee, farmed organically and in balance with the earth. The second goal is to encourage these women farmers to confidently raise their voices and become the empowered, influential coffee farmers they deserve to be. Three times a year, all the women gather to discuss current issues on their micro-plots, elect board members, and plan entrepreneurial projects for the future of their coffee. It's a real coffee-driven community. This empowerment of women isn't usual for Honduras. This is a country where women's rights are constantly being disregarded, and which has one of the highest rates of femicide in the world. There are few options for earning an income in this region - often the choice is coffee or crime. In choosing to tend the land, these amazing women are raising awareness of organic farming and sustainability, all whilst producing something truly incredible at the same time - their own speciality coffee, flowing with Honduran spirit. Fair trade coffee benefits the lives of growers, farmers, and exporters with a stable and fair income. Coffee harvests can vary year to year depending on temperature, rainfall, diseases such as ‘coffee rust’, and a whole range of other factors. This unpredictability results in an unstable coffee market which demands more coffee from growers at a lower price. Fair trade means that the coffee growers have a safely net ready when market prices fall below a sustainable level. Though not all fair trade coffee is organic, for a coffee to be fair trade the coffee beans must be grown and processed using environmentally sustainable methods. These smallholder farmers grow their fair trade coffee slowly, naturally, without chemical fertilizers or pesticides, often using organic soil and shade conservation techniques under a protective canopy of native trees. When it comes to organic coffee certified by the Soil Association (such as our Eat Your Hat organic coffee range), the coffee plants create soil that holds a steady base of nutrients which then pass into the coffee beans themselves slowly, creating a smooth and memorable flavour. The world of coffee trade can seem enormous and overwhelming to the single smallholder coffee farmer. By grouping together in the form of co-operatives and democratically-run organisations, together these farmers can buy and distribute supplies, negotiate better prices, participate in shared learning opportunities, and build relationships across their community. The extra income they earn from fair trade coffee is often reinvested into their local area in the form of healthcare, schooling, water, and housing schemes. So, when you choose to buy fair trade coffee, it doesn’t only benefit the farmers who harvested it, it benefits the whole community too! Fair trade coffee tastes amazing! Traidcraft fair trade and organic coffee is made from the finest picked-by-hand beans, each blend bursting with its own distinct flavour. These flavours are a result of the careful attention the farmer gives to soil and water composition, and the traditional cultivation and processing methods used to produce the coffee. 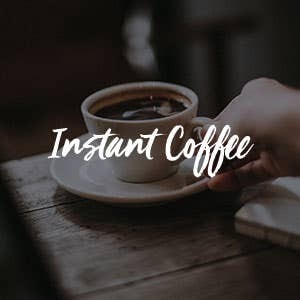 The world of fair trade coffee includes some of the most remarkable tasting organically grown coffees available, and in various forms, including instant coffee, ground coffee, decaffeinated coffee, and ready-to-grind coffee beans. Looking for an ethical whole bean espresso, a light as a feather fair trade light roast, or an everyday instant coffee? There’s an option for you. In the old days there might not have been a lot of choice in terms of fair trade coffee, but as you can see - incredibly tasting coffee is no longer a stranger to fair trade. When you buy fair trade coffee you’re making a stand against corrupt trade systems that most people take for granted. Regular (non-fair trade) coffee may have gone through the hands of up to ten different farmers, exporters, brokers, processors, roasters, and retailers before it made it to your cafetiѐre. Fair trade coffee subverts this system, eliminating the costly middle-men and connecting buyers and grower co-operatives. But you’re also making a stand in another way too. In drinking fair trade drinks and eating fair trade food, you’re enacting everyday activism. Making a stand doesn’t always involve wearing a sandwich board or protesting outside Parliament. Sometimes it’s just about making an everyday change and trying to encourage others to do it too. How was coffee first discovered? According to legend, coffee was discovered in the 9th century when Ethiopian goat herders noticed that their goats appeared to jig and dance after eating wild coffee. It was a local monk nearby who then brewed the coffee beans and enjoyed the first cup of coffee in the world. Apparently, the coffee he made was so strong that it kept him awake all night long! Coffee beans are actually the green pits found in the red cherry-like berry of the coffee tree, and one coffee bush yields just less than one pound of coffee per year. 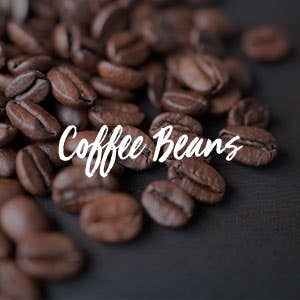 Are there different types of coffee bean? There are two main types of coffee bean – Robusta and Arabica. Robusta grows best at lower altitudes whereas Arabica is better suited to higher altitudes. Coffee is decaffeinated in its green coffee bean state, but there are four common methods of decaffeination using solvents and carbon dioxide. 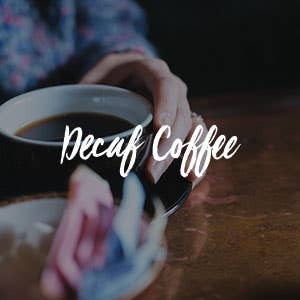 The caffeine in our fair trade Decaffeinated Instant Coffee is removed naturally with coffee-charged water in Cordoba, Mexico using a copyrighted Mountain Water Decaff Process method. Does the smell of coffee wake you up? Yes! Studies have shown that coffee’s distinctive aroma can alter the activity of some genes in the brain, reducing the effects of sleep deprivation. And when you do take a swig of that fair trade coffee, caffeine reaches you blood stream in less than ten minutes. The term 'speciality coffee' can refer to coffee with its own unique flavours and tastes, resulting from special characteristics and composition of the soils in which they are produced. But the term ‘speciality coffee’ is more specifically used to refer to coffee that’s graded 80 points or higher on a 100 point scale by a certified coffee taster of a licensed Q grader. This scale was created by the SCAA (Speciality Coffee Association of America) based on a number of different criteria, including; sweetness, acidity, lack of defects, balance, mouthfeel, and flavour. The term SHB coffee (or 'strictly hard bean' coffee) is synonymous with SHG coffee, also known as 'strictly high grown' coffee. SHB coffee refers to coffee grown at altitudes higher than around 4,500 feet above sea level. Coffee beans grown at high altitudes are judged to be the highest quality and are greatly sought after. SHB coffee beans are very dense, caused partly by the slow growth than occurs at high altitude. 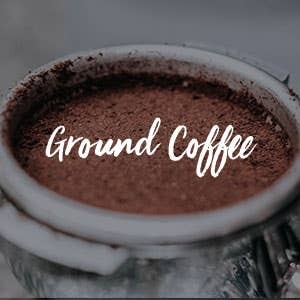 Many Traidcraft fair trade coffees are grown at high altitudes, including our coffee from Honduras, Peru, Uganda, and our featured fair trade coffee producer above - CIPAC! A great number of fair trade coffee farmers grow their coffee under the shade of large trees. You might think the coffee might suffer with the lack of light, but the opposite is true! Shade grown coffee requires little or no chemical fertilisers, pesticides, or herbicides to grow, the shade trees filter carbon dioxide from the air and aid soil moisture retention, and the coffee plants are protected from the elements. A brilliantly organic solution to help farmers, trees, and forest wildlife to thrive! ‘Coffee cupping’ is just a fancy name for coffee tasting. During tasting sessions, judges slurp coffee across the whole of their mouth so they can accurately taste all the subtle flavours of the coffee. Try this with your next fair trade coffee! So, when it comes to fair trade coffee, we know our stuff. Every sip or slurp has the potential to change lives around the world. Our sustainably-sourced coffee is grown in the world’s most famous coffee regions by expert growers. From rich and aromatic dark roast blends to light, bright, refreshing brews, we’ve been sourcing the finest fair trade coffee blends for almost 40 years. Need help choosing your new favourite coffee? Explore our complete collection of fair trade and organic coffee to discover everything from whole bean espressos to light and fruity everyday blends. Or more of a tea drinker? Visit our complete guide to fair trade tea to uncover the history of fair trade tea and find your new favourite relaxing brew. Don’t forget a quick stop at our ethical store cupboard to pick up some biscuits and snacks on the side, too.